Capt. E . J . Smith. 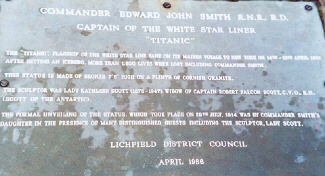 Statue commemorating life and death of Titanic`s Captain in Lichfield, England. Photos © Linda Evans 1999. 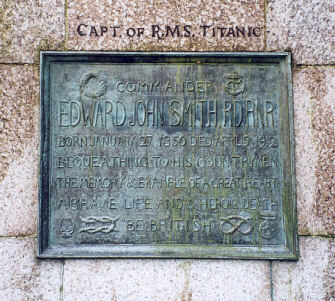 Edward John Smith RD. RNR. including the sculptor Lady Scott.